For IT News Week 5 Dec 2015. Participants from each of the five Southeast Asian (SEA) countries who can ace the Kaspersky Lab challenge in the shortest time possible will have the chance to watch one of the most anticipated races in the 2016 Formula One world championship season. Five lucky winners from the region will each win anall-expense paid trip for two to Singapore to watch the F1 Grand Prix on September 18, 2016. The contest covers the fivecountries in SEA including Indonesia, Malaysia, the Philippines, Thailand and Vietnam. Citrix, a leader in secure mobile workspace delivery, enabled SaveMax Super Grosir, a modern, wholesale retailer in Indonesia, to accelerate the launch of its second store in West Java, by ensuring the seamless delivery of mobile workspaces to its employees. With a combination of desktop virtualization using XenDesktop, and application virtualization using XenApp, SaveMax Super Grosir successfully launched its second store more than one month ahead of schedule. SaveMax Super Grosir is part of the Gunung Sewu Group, one of Indonesia’s largest private investment and management conglomerates. Since its first store launch in 2014, SaveMax Super Grosir’s operations have grown rapidly, with its headcount expanding by 250 percent over the year The wholesale retailer has an expansive range of grocery products, such as fresh poultry and vegetables, offering one-stop grocery shopping services online as well as through physical stores. Targeted at trade customers at hotels, restaurants and cafés, amongst others, SaveMax Super Grosir’s success depends heavily on the quality and speed of the customer experience it delivers, as any service disruption could result in a significant loss to the business. SaveMax Super Grosir chose Citrix XenDesktop and XenApp to deliver applications and desktops as secure mobile services across thin clients and authorized tablets. With a native touch-enabled look-and-feel that is optimized for each type of device and network, SaveMax Super Grosir’s employees are empowered with a rich and consistent virtual desktop experience to better respond to customer requests, no matter where they work from. They are able to access on-demand, Pronto, an Enterprise Resource Planning (ERM) software for invoicing, inventory and ordering purpose. Consequently, SaveMax Super Grosir is able to seamlessly deliver applications, desktops and data, provisioned in real time, to ensure business efficiency and continuity. BIOSTAR proudly introduces the latest addition to its new flagship gaming series with the BIOSTAR RACING H170GT3. Meeting the needs of gamers’ by providing features perfect for an all-around gaming system. Like all BIOSTAR RACING series motherboards, the H170GT3 features improved features dedicated for gaming and entertainment with the RACING H170GT3 focusing on a balance of features and accessibility for light-purpose machines to heavyweight muscle rigs. With upgraders in mind, BIOSTAR has placed legacy PS/2 ports in the RACING H170GT3 to allow players who prefer legacy peripherals to still use their devices on this motherboard. Support for dual HDMI output and DVI are also available on this motherboard together with plenty of USB3 ports for your high-speed devices. Tata Communications, a leading provider of A New World of Communications™, has been positioned by Gartner as a ‘Leader’ in its 2016 Magic Quadrant for Network Services. Designed by Gartner to examine how effectively providers meet the current needs of business in terms of both ‘completeness of vision’ and ‘ability to execute’, 2016 marks the third year in a row that Tata Communications has been positioned in the Leader quadrant. In the past year, Tata Communications has continued to invest in a broad range of service expansions reflecting the company’s on-going strategy to introduce new advanced managed services built on its strong network presence in the emerging and developed markets, including its portfolio of IP, cloud enablement and unified communications services, and a range of strategic partnerships. Japanese telecommunication service provider SoftBank Corp is streamlining its data center operations by deploying BROCADE® VDX® SWITCHES to provide Ethernet fabrics as part of the company's group-wide common service infrastructure network. The new infrastructure will greatly reduce complexity and the cost of network operations within SoftBank's data centers, giving the company greater agility to pursue new growth opportunities in Over-The-Top (OTT) services. SoftBank has a strong track record of using data center virtualization to efficiently and cost-effectively support the back-end systems that support the company's internal applications and external services. However, as these applications and service have increased in number and scale, SoftBank was beginning to experience significant network operational issues stemming from the complexity of the existing infrastructure. As a result, the company decided to revamp its common service infrastructure network using highly open, best-in-class components. 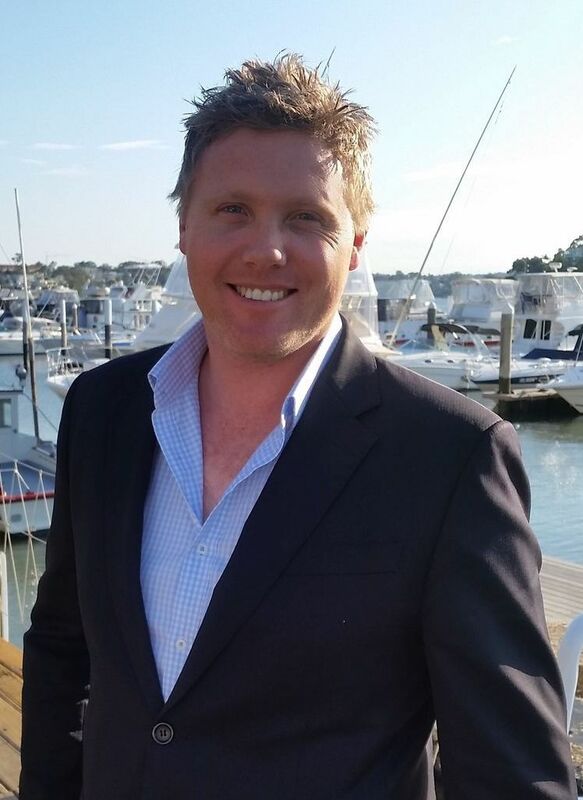 PropertyGuru Group, Asia’s leading online property portal group, is pleased to announce the appointment of Malcolm Fitzgerald as Chief Product and Technology Officer (CPTO), effective 27 January 2016. In this role, Malcolm will lead PropertyGuru’s approximately 100 product, user experience and engineering staff across the Group’s offices in Singapore, Malaysia, Thailand and Indonesia. As CPTO, Malcolm will be responsible for continuity in product development, quality assurance and production support. Malcolm will also identify opportunities and risks for PropertyGuru’s online businesses, drive the company’s innovation efforts and establish software development and production support processes across the region. Prior to joining PropertyGuru Group, Malcolm served as Chief Technology Officer for ANATAS, one of Australia’s leading IT architecture and engineering consultancies. At ANATAS, Malcolm guided clients to help produce a consistently high customer experience by implementing solutions such as Mobile First, Microservices and Lean Start-up. Western Digital today announced that it has acquired more than 100 patent assets from IBM (NYSE: IBM). The parties also entered into a patent cross-license agreement. Terms of the transaction were not disclosed. Patents acquired by Western Digital are in distributed storage, object storage, and emerging non-volatile memory. Western Digital expects the IP to further strengthen its technology leadership position and drive value creation for the company and its customers. The patents will augment Western Digital's existing portfolio of more than 10,000 patents and patent applications. Cloudera, the global provider of the fastest, easiest, and most secure data management and analytics platform built on Apache Hadoop and the latest open source technologies, today announced that it is positioned as a leader in The Forrester Wave™: Big Data Hadoop Distributions, Q1 2016 report. Forrester used a 35-criteria evaluation system covering: Current Offering, Strategy, and Market Presence for the five Hadoop distribution vendors in the report; Cloudera received the highest score for Current Offering and Market Presence and the second highest for Strategy. IBM today announced new technology features and collaborations for its LinuxONE family of high-performance Linux systems. The enhancements will enable organizations of all sizes to develop, deploy and manage applications for the cloud simply and efficiently with robust security. New Hybrid Cloud Capabilities IBM is optimizing its Cloudant and StrongLoop technologies into LinuxONE to enable clients to develop, deploy and manage applications for the cloud more quickly and easily. The new features do not require that developers convert languages, speeding time to development and deployment. IBM is expanding supported software and capabilities for LinuxONE. IBM LinuxONE recently ported the Go programming language, which was developed by Google. Go is designed for building simple, reliable and efficient software, making it easier for developers to combine the software tools they know and love with the speed, security and scale offered by LinuxONE. IBM will begin contributing code to the Go community in the summer. Barracuda Networks, Inc., a leading provider of cloud-connected security and storage solutions, launches the new Barracuda Essentials for Microsoft Office 365, a suite of cloud services designed to help organizations such as small medium sized entrepreneurs (SME) expand on the security and data protection functionality in Office 365. Barracuda Essentials combines three of Barracuda’s innovative cloud technology solutions – Barracuda Email Security Service, Barracuda Cloud Archiving Service, and Barracuda Cloud Backup – into an easy-to-deploy and manage suite of cloud services with simple per-user licensing. According to a survey by TechValidate on concerns of customer migrating and deploying into Office 365, 72 percent reported concerns or had not considered, whether the security, compliance and backup features in Office 365 meet the needs of their organizations. Citrix today announced that Kirill Tatarinov has been appointed President and CEO, effective January 25, 2016. A veteran Microsoft executive, Mr. Tatarinov will also join the Citrix Board as a director at that time. Interim President and CEO Robert Calderoni continues his role as Executive Chairman on the Citrix Board of Directors, focused on driving execution of the strategic plan for operational excellence, capital structure and portfolio simplification. With 30 years of industry experience, Mr. Tatarinov has a long and successful track record overseeing product strategy and commercial operations in software and services. His background includes leadership positions at Microsoft for 13 years, including most recently serving as Executive Vice President of the Microsoft Business Solutions Division where he doubled revenue, increased profitability, led the division’s transformation to the cloud, and managed the global partner ecosystem. During his tenure at Microsoft, he also served as Corporate Vice President of the Management & Solutions Division where he accelerated product strategy execution, resulting in strong revenue growth. Prior to Microsoft, Mr. Tatarinov was a member of the senior leadership team at BMC, where he served as the Chief Technology Officer, as well as holding product and business development leadership positions. Toshiba Singapore Pte Ltd, the Asian Headquarter for Mobile Computing Solutions and Devices, today announced two new additions to its business Portégé and Tecra ranges – the Portégé R30-C and Tecra A40-C. In keeping with Toshiba’s Portégé and Tecra values and benefitting from 30 years of laptop development, the new models offer a customizable experience for all businesses with easy IT manageability. Utilizing all Toshiba’s in house engineering expertise, the 13.3-inch Portégé R30-C, 35.6 cm (14”) and 14-inch Tecra A40-C offer an advanced blend of security, performance, protection and manageability. For peace of mind, all models have passed rigorous and independent H.A.L.T (Highly Accelerated Life Test) testing by independent German test institute, TÜV Rheinland® to withstand the pressures of everyday working life. Additional quality standards met to protect a company’s assets and data include both drop testing up to 76cm and a spill resistant keyboard of up to 30ml1 in case of any accidental knocks and spillages. To enhance security, all models have the option of a fingerprint reader, dedicated Trusted Platform Module (TPM) 2.0, and smartcard reader making it ideal for business users to prevent unauthorized access to the device and the data on it. With smart watches, fitness trackers and payment wristbands expected to account for one in five mobile payment transactions by 2020 – representing $500 billion a year* – it is inevitable that they will become a growing target for cyber-attack, according to WISeKey and Kaspersky Lab. The two companies have today announced that they are developing technology that will deeply integrate authentication and data encryption into new wearable devices, enabling them to safely connect, communicate and exchange financial data. Premium watch manufacturers, such as Bulgari, already integrate WISeKey’s patented security software, WIS.WATCH into their connected watches. This enables a customer to securely identify and authenticate their device, to connect it to other devices such as their smartphone and to access applications, personal data and secure cloud storage. Under the new partnership, Kaspersky Lab’s secure software development kit for mobile devices will be included in this solution, adding a further layer of security and paving the way for ultra-secure mobile payments. RS Components, the global distributor for engineers, has introduced Molex Ultra-Fit™ power connectors, bringing the reliable, easy-mating advantages and space-saving design of the Fit family into wire-to-board applications up to 14A for equipment such as white goods, automotive systems, industrial automation, medical technology, lighting and telecoms. The new 3.5mm-pitch Ultra-Fit™ connectors join the Fit portfolio alongside the Mega-Fit™ 5.7mm-pitch series rated up to 23A per circuit, the 4.2mm/13A Mini-Fit™, and the 3mm/5A Micro-Fit. Featuring the Fit-family split-box terminal design with six points of contact, Ultra-Fit connectors have low insertion force allowing fast, fatigue-free productivity, and deliver long-term reliability in the field. With multiple features to ensure correct mating, and terminal position assurance (TPA) to prevent back-out, they have a 17% smaller footprint than competing, similarly-rated connectors.